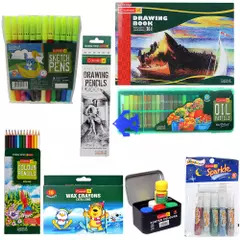 If you require branded notebooks for your child, then you may be confused as to from where to buy. If your condition is such then for having the School Branded Notebooks you need to be at My School Depot. Class: There is the necessity of different nature of notebooks according to the class that your kid is in. keeping this in mind we make available notebooks from pre-primary to high school level. Brand: We cater you notebooks of a reputed brand like Camlin. So, you can rest assured about the quality of the product that you have from us. 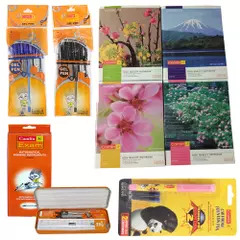 School: Different schools have a different specification for notebooks that you need to have. 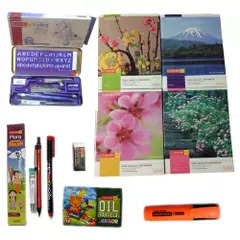 As we have a tie-up with various reputed schools we make available all the varied nature of notebooks that schools prefer. The series of online school Branded Notebooks that you will be able to get from us are made available in affordable price. 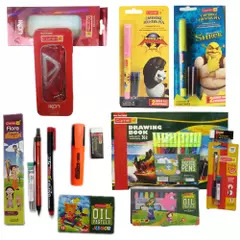 We have branded products: We deal with branded products only. You can order from the solace of your house and we will deliver those at your doorstep. We have made payment easy: There are various means of payments which you can choose while you order notebooks from us. While ordering you can pay using your debit or credit cards. You can also pay using net banking or if you wish can pay when you receive the products. The payment that you make is totally secured as we use secured means of accepting payments. We have lucrative exchange policies: It may so happen that you receive the goods in a damaged condition. You do not have to worry, our exchange and refund policies will allow you to exchange those within seven days from the time you receive those. We have madeshipping quick: As we receive your order we take appropriate steps so that the products reach you within seven days. We have a nominal shipping charge but that is affordable. We take orders 24*7: It is quite easy to order the products. You just need to be on our site and select the products according to price and brand and add those to your shopping cart. Out 24x7 help center is always ready to help you out if you require any assistance while you purchase. These facilities have made us the trusted platform for having online Branded Notebooks for students. You can be at My School Depot to know more about online Branded Notebooks purchase.